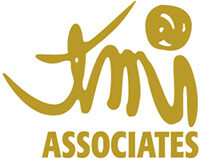 Toyotaka Abe is a partner at TMI Associates, one of the ‘Big Five’ law firms in Japan. He is licensed as a patent attorney in Japan and an attorney at law in California. Mr Abe supports clients in patent prosecution, IP transactions (patent sales, acquisitions and licensing), litigation, government relations and other related areas, drawing on his legal and business acumen acquired through significant experience both in-house and at law firms. 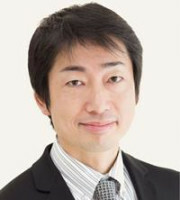 Before joining TMI Associates, he was the director of intellectual property at Microsoft Japan. Mr Abe originally joined Microsoft in 2007 at its headquarters in Redmond, Washington, where he was engaged in international patent matters in Asia. Before joining Microsoft, Mr Abe practised patent law at firms in Japan and the United States for 10 years, during which time he handled patent matters in the fields of electrical engineering, semiconductors, software and mechanical engineering, among others. TMI Associates has more than 820 employees worldwide, including around 460 IP and legal professionals, comprising approximately 390 attorneys at law, 80 patent and trademark attorneys and 30 foreign law professionals. TMI’s practice covers all aspects of intellectual property, including patent and trademark prosecution, transactions, litigation, invalidation trials, due diligence activities and import suspension at Customs. TMI handles over 8,000 patent, trademark and design applications and over 20 IP lawsuits each year. Its patent team covers all technical fields, including the electronic, computer software, telecommunication, semiconductor, chemical, biotechnology, pharmaceutical and mechanical fields.